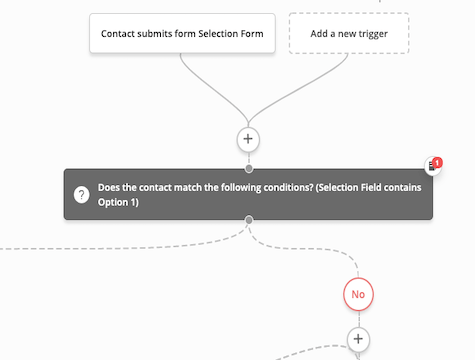 After a form submit, the contact will travel down a series of actions that check for the value in the selected form field. A tag is then generated based on the value present in the custom field. Before importing this recipe, build the following: ActiveCampaign form.